It has been exactly one year since Silver Screen Surprises launched – and I saw many great movies over the past 365 days! In lieu of a traditional top five or ten, I will simply present some of the best "silver screen surprises" I saw in 2013. Below that, I've included some of my favorite spectacles and blasts from the past as well. The following movies presented here are listed in alphabetical order, with each title linking to the full review. Before Midnight: My review was semi-negative. The movie actually made me angry. How many movies actually evoke such strong emotions in a viewer? All these many months later, I still can't stop thinking about it. The previous two "Before" films have a lot to do with the strong bond I've forged with these characters, but "Midnight" left me wanting more, even if it also left me in a deep depression. The Big Wedding: This has a 7% Rotten rating on the RottenTomatoes.com Tomatometer. Needless to say, I don't care. It's a big, fun, well-acted screwball comedy with a great cast. I enjoyed the hell out of it, and I make no apologies for that. The Book Thief: This epic tale about a little girl caught up in the whirlwind of Nazi Germany haunted me for weeks. 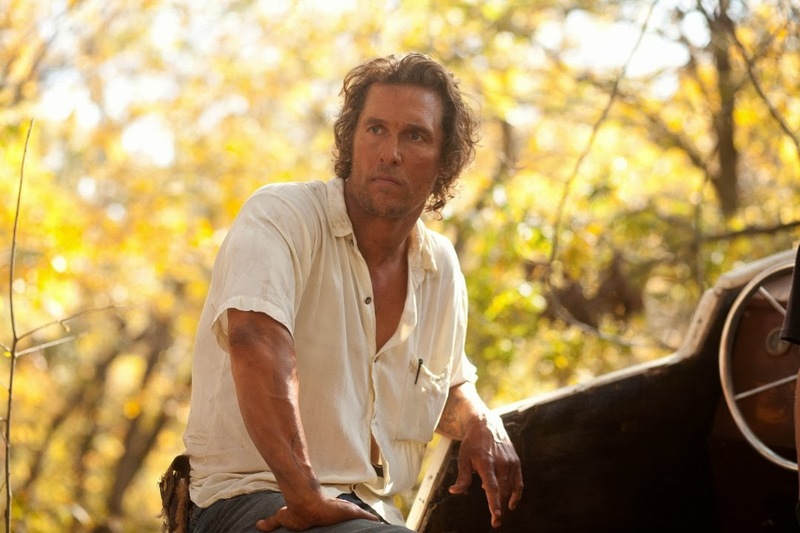 Dallas Buyers Club: Matthew McConaughey is having one of the best years of his career. His role here as HIV-positive black market medicine salesman and activist Ron Woodroof, circa the mid-1980s, is Oscar-worthy – unless he's nominated for "Mud" instead. Dead Man Down: One of the most bizarre films of the year – I never quite knew where the story was going, or what Colin Farrell and Noomi Rapace would do next. As I said in my review: I went into this expecting a dumb action movie; instead, it's an interesting meditation on the deep desire for revenge and what that can do to a person's soul. Disconnect: Things aren't always what they seem on the internet. In this series of interconnecting tales, the allure – and danger – of the world wide wide is explored from all angles. It's one of the best – and most important – films I saw all year. Emperor: It tells two different types of stories – it's an investigative procedural and a romance – but they're both above love. Matthew Fox plays U.S. General Bonner Fellers, who is caught between love of his country and the love of a Japanese woman. General Douglas MacArthur – portrayed bombastically by Tommy Lee Jones – recognizes Fellers' expertise of Eastern culture and assigns him to investigate Japan Emperor Hirohito for war crimes. "Emperor" is unique because it shows the effects of World War II from Japan's perspective. Fruitvale Station: Based on a true story, this gripping day in the life of Oscar Grant will leave you riveted and then stunned. While Oscar is painted in a positive light, he's never unrealistically portrayed as a perfect angel. Featuring incredible performances by Michael B. Jordan and Oscar winner Octavia Spencer, "Fruitvale" has a powerful, lingering effect. Jobs: People seemingly went out of their way to give this biopic a bad rap because it stars Ashton Kutcher. I've always liked him, and as it turns out, he's superb as the Apple founder. The movie isn't perfect and could have benefited from a longer running time. It races through the "insanely great" life of its subject. But the quick pace has its advantages too: "Jobs" never stops moving and is always entertaining. Much Ado About Nothing: Shakespeare comes alive in this funny, fresh modern take on the Bard's classic work. Director Joss Whedon brought together his usual troupe of actors and filmed this in only twelve days. He called it the best vacation he's ever taken, and it's a vacation for the viewer too – from the usual mundane movie experiences that litter the landscape. Mud: "Mud" succeeds spectacularly because it transports us to another world – the America that most of us don't live in. With beautiful performances by Matthew McConaughey and child actors Tye Sheridan and Jacob Lofland, this moving coming-of-age tale set in rural Arkansas is one of the year's best films. Don't miss Mike Sabga's behind-the-scenes report from the set of "Mud." No: If you didn't know any better, you'd swear this was a documentary filmed in 1988 when the Pinochet dictatorship was in full swing in Chile. "No" could easily be mistaken for an old VHS recording. It looks like it was filmed with a camcorder in 1988. It tells the fascinating story of the revolutionary attempt to vote Pinochet out of power – via a "No" vote – and how fraught with danger that movement actually was. Parkland: This powerful, gritty look at the JFK assassination focuses on "the people on the ground" who were affected in the aftermath – the doctors and nurses, FBI and Secret Service Agents, the photographer, the Oswald family, and JFK's grieving widow. It's hard to come up with a fresh take on these events after 50 years, but "Parkland" manages to do just that in spellbinding fashion. The Place Beyond the Pines: This is a vast story with many layers. To reveal too much would be a disservice. My own review hardly does the film justice because I didn't want to even hint at what would happen. Let's just say it's about fathers, sons, and the long-term effects and consequences of choices made sometimes in the heat of the moment. The Way Way Back: A lost, lonely boy experiences the best summer of his life: Many movies could be described that way, but very few of them are as smart, touching, and subtle as "The Way Way Back." Here is a script that deeply understands the painful, awkward transition every teenage boy goes through – where he's no longer a child but not close to being an adult yet. Providing explosive action or crazy laughs, here are some of the most enjoyable "popcorn" spectacles I reviewed over the year. From 1925 all the way to the end of 2012, here are several truly great movies – and a few oddballs as well.